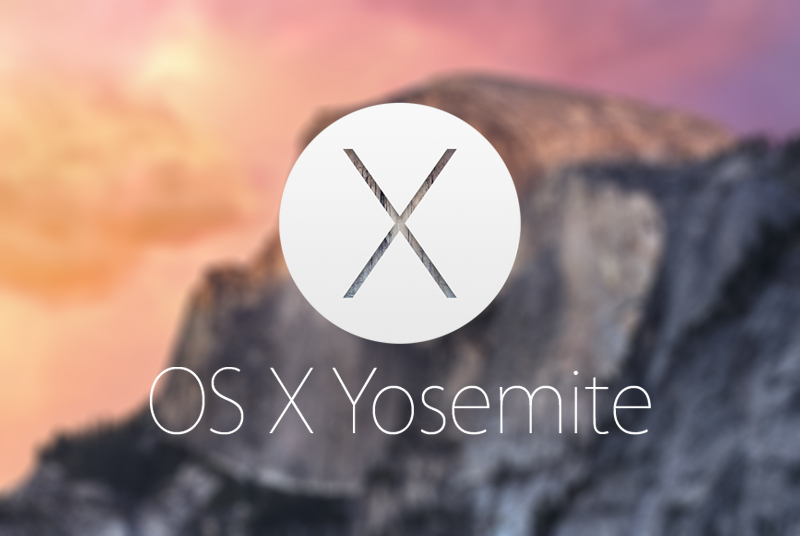 A year after the release of OS X Mavericks, Apple has announced its newest Mac operating system it is naming OS X Yosemite. The more simplified and flatter looking OS will be available to all existing Mac users as a free upgrade when it officially launches to consumers this coming fall. 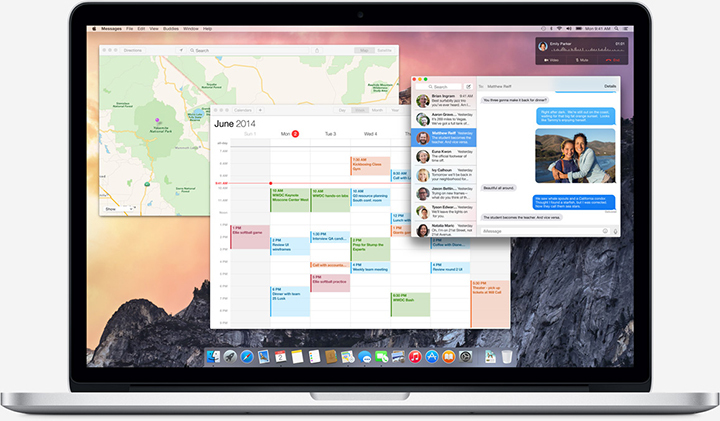 OS X Yosemite focuses on user convenience with deep iOS 8 device integration and seamless continuity transitioning from Mac to an iPhone or iPad, and vice versa. It also features app enhancement and new features like iCloud Drive, a Dropbox-like cloud storage service which includes 5GB of free storage (20GB and 200GB capacities will cost $0.99 and $3.99 per month) to store any file type and have it be accessible from any device, AirDrop now supports file transfer between Macs and iOS devices, as well as a smarter Spotlight searching engine that can pull search information from various sources on the internet and has a rich integration with iTunes and the Mac App Store, and much more. 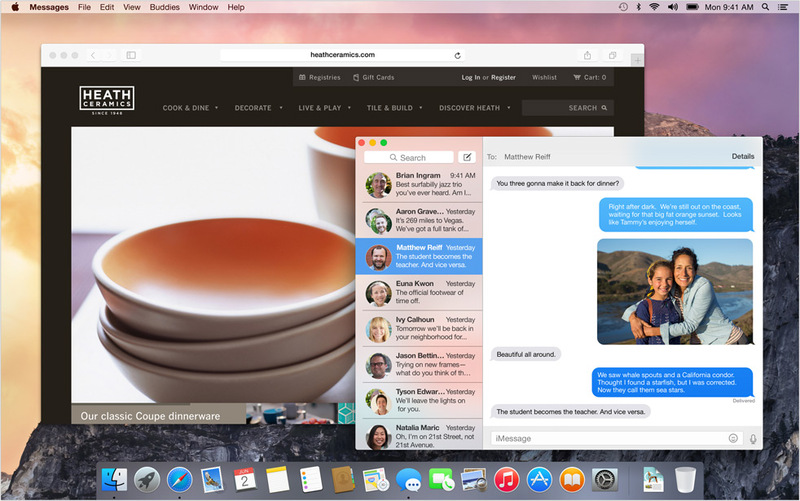 OS X Yosemite is made to look more modern with an iOS-like flat user interface design, refined app icons and buttons, and is made more translucent with a redesigned one-dimensional iOS-esque dock as well as translucent windows and streamlined toolbars. By adding translucency to certain interface elements in OS X Yosemite, we’ve put a greater emphasis on your content. Translucent toolbars let you know there’s more to see than what’s visible in the window as you scroll. And a translucent sidebar lets you see what’s hidden behind the active window. So the interface takes on the look of your desktop image and your content — making your Mac experience different from anyone else’s. When in close proximity, OS X Yosemite can detect when your iOS 8 device is around and enable you to answer an incoming call right on your Mac. You can also make calls and reply to text messages from your Mac without having to touch your iPhone. Another new feature on OS X Yosemite is Handoff, it's a cross-platform feature which allows users to easily transition between whatever they are doing on an iOS device to a Mac when it close proximity. Handoff works with Mail, Safari, Pages, Numbers, Keynote, Maps, Messages, Reminders, Calendar, and Contacts. So if you're browsing on your iPhone or writing in the Pages app, you can click on the Handoff icon that will appear on your desktop to seamlessly continue your work on your Mac. Another improvement is Notification Center, which now allows you to view a summery of day's and upcoming events, and quickly access other important information with widgets like Calendar, Weather, Stocks, World Clock, Calculator, and Reminders. And you can customize what you see by adding more widgets from the Mac App Store. You can also send large attachments up to 5GB in size to anyone using the new and improved Mail app built into OS X Yosemite. Safari has an improved search bar integrated into a more simplistic toolbar that will show you a drop-down grid of your most favorite websites. If you have multiple tabs, you can use Tab View to see all of your tabs organized in a "bird's eye view" layout. 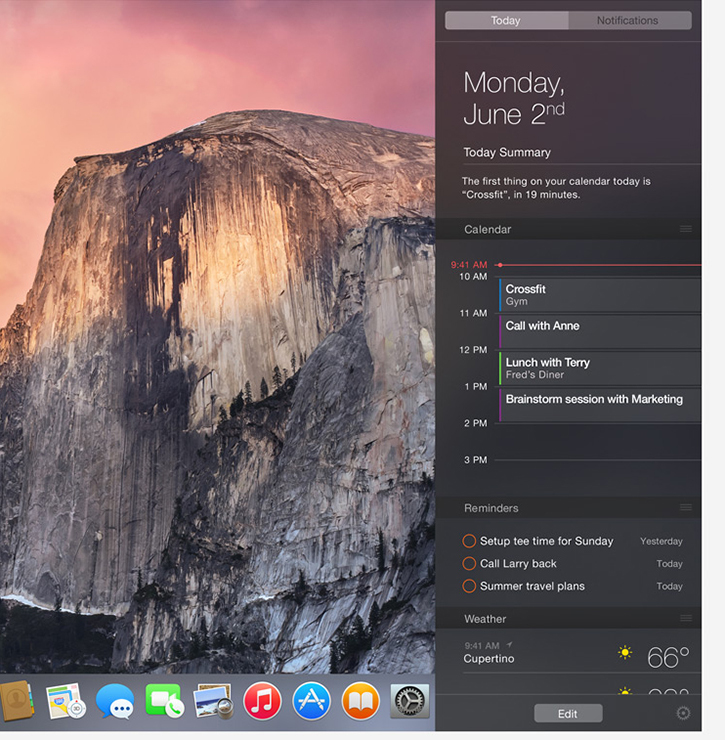 If you want to get your hands on OS X Yosemite before it is released this fall, you can sign up for the public Beta program to get the chance to use it early. 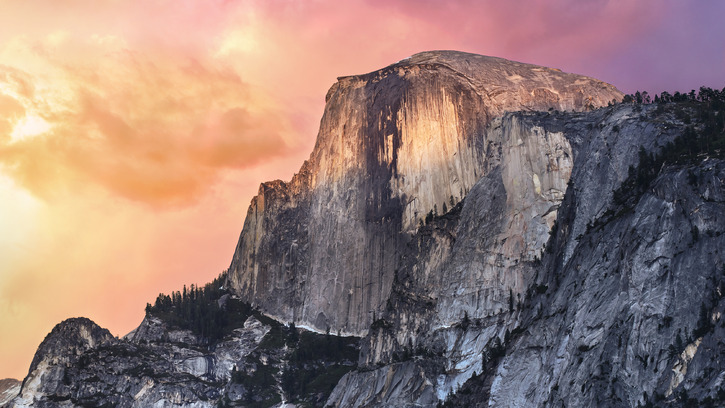 In the meantime, enjoy this beautiful stock OS X Yosemite wallpaper on us. Click the image to download the full high resolution wallpaper.